New York, NY, December 7, 2016 – The U.S. Department of State has selected Ennead Architects to design the new U.S. Consulate General project in Nogales, Mexico. The multi-building complex will be situated on an 8.4-acre site in central Nogales, and will include a Consulate building, support buildings, and facilities for the Consulate community. The new complex will provide Consulate employees with a safe, secure, sustainable, and modern workplace. The Ennead design team is being led by Richard Olcott, design partner; Kevin McClurkan, management partner; Kate Mann, project designer; and Felicia Berger, project manager. This same team is also working with the Bureau of Overseas Buildings Operations on Ennead’s new U.S. Embassy in Ankara, Turkey. OBO’s mission is to provide safe, secure, and functional facilities that represent the U.S. government to the host nation and support its staff in the achievement of U.S. foreign policy objectives. 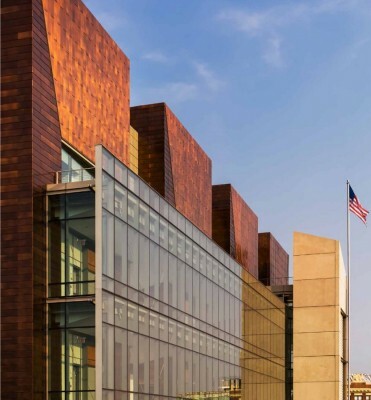 These facilities aim to represent American values and the best in American architecture, engineering, technology, sustainability, art, culture, and construction execution. Groundbreaking on the Shanghai Planetarium, the new 38,000 SM / 409,000 SF planetarium that will define a new identity for the Shanghai Science and Technology Museum (SSTM) and the Lingang district of Shanghai. A new six-story, 280,000-square-foot, state-of-the-art facility in the heart of downtown Phoenix designed by Tomas Rossant of Ennead Architects, in collaboration with Jones Studio, BCLS was conceived and developed as a uniquely open urban environment where society and the study and practice of law converge. On a hilltop site overlooking New York Harbor, the new Staten Island Courthouse designed by Susan T. Rodriguez/Ennead Architects has a distinct presence on the St. George skyline, commanding views to and from New York harbor. 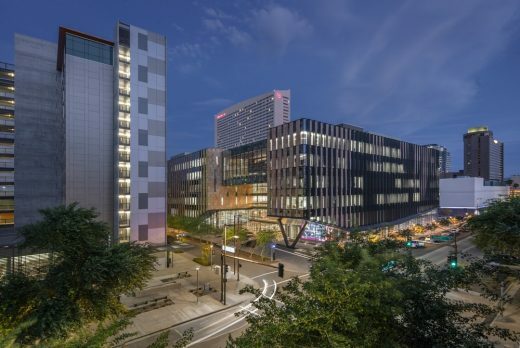 Designed by Tomas Rossant of Ennead Architects in collaboration with Jones Studio, this new $130 million, six-story modern facility in downtown Phoenix opens itself up to the public as a place where society and the study and practice of law converge. 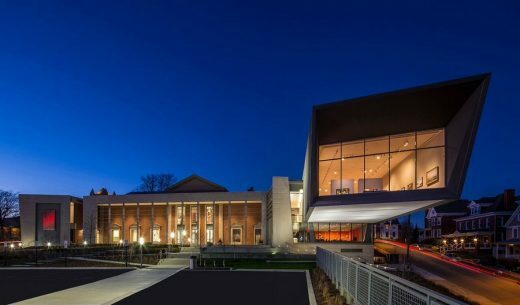 The new expansion and major renovation of the Westmoreland Museum of American Art designed by Susan T. Rodriguez/Ennead Architects has launched a new era for the Museum. The expansion is a striking counterpoint to the original neo-Georgian structure, marrying old and new. New York City Center was recently presented with the 2013 Outstanding Historic Theatre Award by The League of Historic American Theatres (LHAT). City Center has been recognized as a national model for historic theater restoration and renovation, for the quality of its programs and services and for providing cultural leadership within its community – both on stage and off. 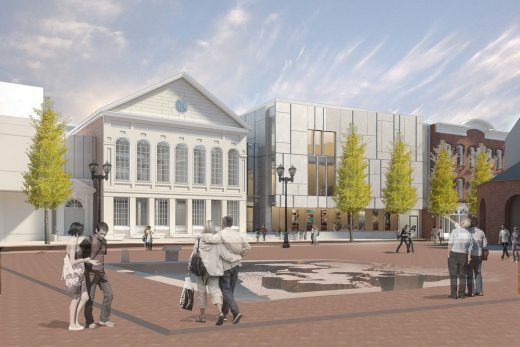 The Peabody Essex Museum (PEM) announces the selection of Ennead Architects to design the museum’s $200 million, 175,000-square-foot expansion. Renowned for design excellence and for its collaborative approach, Ennead was chosen from a group of distinguished architecture firms that were invited to participate in a design charrette this summer. Ennead brings extensive museum experience to the project, having designed the much-acclaimed renovation and expansion of the Yale University Art Gallery, as well as several significant projects at the Brooklyn Museum, Natural History Museum of Utah, William J. Clinton Presidential Center and the Rose Center for Earth and Space at the American Museum of Natural History. this new building was created with the total audience experience very much at the forefront. Its seats are arranged in a “vineyard” format, with seating sections ringing the stage and beginning on the same level as the performance platform. The result will be a concert experience of unparalleled intimacy. Complementing the artistic presentations will be amenities such as customer-service areas to spacious restroom facilities, a café and a picturesque foyer that opens onto a graceful veranda. New York, NY, September 4, 2012 –The Chicago Athenaeum, together with The European Centre for Architecture Art Design and Urban Studies, has announced the winners of its 2012 American Architecture Awards. These are among the field’s most prestigious awards, honoring the best of new design in American architecture. – Natural History Museum of Utah: Team led by Todd Schliemann, design partner, and Don Weinreich, management partner. – New York City Center: Team led by Duncan Hazard, partner-in-charge. – Stanford Law School William H. Neukom Building: Team led by Richard Olcott, design partner, and Don Weinreich, management partner. – Westchester Community College Gateway Center: Team led by Susan Rodriguez, design partner, and Timothy Hartung, management partner. A special exhibition of all awarded American buildings will be presented at “The City and the World” symposium presented by the European Centre for Architecture Art Design and Urban Studies and the Chicago Athenaeum in Istanbul, Turkey in conjunction with the Istanbul Biennial. The exhibition will travel throughout Europe following its opening in Turkey. 31 Aug 2012 – Two projects designed by Ennead Architects have been awarded 2012 AIANYS Design Citations: the Natural History Museum of Utah and New York City Center. Recognizing outstanding works of architecture through its annual Design Awards Program each year since 1968, the New York State American Institute of Architects celebrates achievements in design excellence by New York State architects, honoring the architects, clients and consultants who work together to create and enhance our built environment. Natural History Museum of Utah. Designed by Todd Schliemann, the Natural History Museum of Utah overlooks the Salt Lake Valley, its commanding profile and copper skin blending seamlessly into the foothills of the Wasatch Mountain Range. Partners Schliemann and Don Weinreich led the Ennead design team, in association with David Brems and John Branson of GSBS (Gillies Stransky Brems Smith) of Salt Lake City. New York City Center. Led by Duncan Hazard, the complete renovation of New York City Center has preserved the essential character of the landmark building while reinvigorating the identity of one of the City’s most venerable performing arts venues. The 2012 AIANYS Design Awards Reception and Presentation will take place Friday, September 28th at The Saratoga Hilton in Saratoga Springs, NY. The Yale University Art Gallery, in New Haven, Connecticut, has completed major work on its renovation and expansion and commenced installation of the museum’s esteemed collections. The revitalized Gallery will open to the public on December 12, 2012. The expansion project, which has been accompanied by parallel growth in the museum’s holdings, will transform the visitor experience. New York, NY, May 4, 2012 – Guy Maxwell and Thomas Wong have become partners in Ennead Architects. They join Joseph Fleischer, Timothy Hartung, Duncan Hazard, Kevin McClurkan, Richard Olcott, Susan Rodriguez, Tomas Rossant, Todd Schliemann and Don Weinreich as the leaders of the internationally-acclaimed 170-person New York City studio. Guy Maxwell received a Bachelor of Science degree from the University of Virginia and a Master of Architecture from the Columbia University Graduate School of Architecture, Planning and Preservation. Maxwell is a member of the American Institute of Architects and a LEED Accredited Professional. He joined Ennead in 1994. Projects include: Department of Homeless Services, Prevention Assistance and Temporary Housing (PATH); Fire Department of New York, Rescue Company 3; New York Hall of Science Great Hall Interior and Terrace Restoration; Cathedral Church of St. John the Divine, Crypt Arts Center and North Transept Renovation; and Vassar College, Science Project. Maxwell is also on the Board of Directors of the New Jersey Audubon Society, a Trustee of the Bird-Safe Glass Foundation, and a former member of the Egress Committee of the New York City Model Code Program. Thomas Wong received both Bachelor and Master of Architecture degrees from the Cornell University College of Architecture, Art and Planning. Wong joined Ennead in 1993 and is a member of the American Institute of Architects. 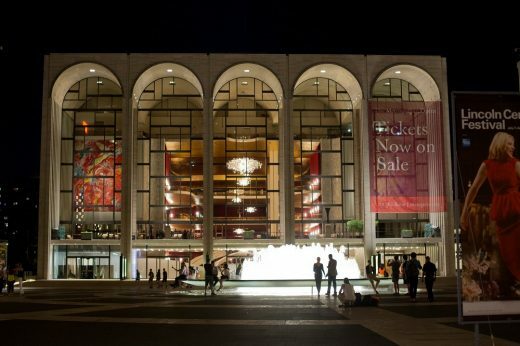 Projects include: New York City Center Renovation; Vietnam Veterans Memorial Education Center at the Wall; NYU Langone Medical Center Master Plan and Kimmel Pavilion; Zankel Hall at Carnegie Hall; and Yale University Art Gallery Renovation and Expansion. Wong is a member of the Municipal Arts Society. New York, NY, April 2012 – Ennead Architects was awarded the prestigious Medal of Honor by the American Institute of Architects New York Chapter at its 2012 Honors and Awards Luncheon held Wednesday at Cipriani Wall Street. Since 1917, the AIANY has awarded the Medal of Honor, the Chapter’s highest honor, to a member or firm for distinguished work and high professional standing, reinforcing the AIA’s central principle: design matters. An internationally recognized studio in New York City, Ennead is known for its cultural, educational, scientific, and governmental work: award-winning buildings whose designs authentically express the progressive missions of their institutions and are responsive to their specific environmental conditions. The studio’s collaborative process is rooted in extensive research involving the analysis of context, program, public image, emerging technologies and a commitment to sustainable solutions. Eleven partners lead the 170-person studio: Joseph Fleischer, Timothy Hartung, Duncan Hazard, Guy Maxwell, Kevin McClurkan, Richard Olcott, Susan Rodriguez, Tomas Rossant, Todd Schliemann, Don Weinreich and Thomas Wong. Among Ennead’s award-winning projects are: New York City Center; Natural History Museum of Utah; Stanford Law School William H. Neukom Building; The Standard, New York; Rose Center for Earth and Space; William J. Clinton Presidential Center; Carnegie Hall; Frank Sinatra School of the Arts; Yale University Art Gallery Renovation and Expansion; Weill Cornell Medical Center Weill Greenberg Building; The Schemerhorn; Newtown Creek Wastewater Treatment Plant; and Fire Department of New York, Rescue Company 3. New York, NY, December 15, 2011 – Pennsylvania State University has selected Ennead Architects in collaboration with Sculptor Mark Mennin as winner of the design competition for the new Veterans Plaza. The gift of the class of 2011, the memorial will honor Penn State veterans. Ennead partners Richard Olcott and Timothy Hartung will lead the design team. In a pivotal location adjacent to both the University’s Old Main and its quad and Pollack Road, the memorial occupies a culturally and spatially significant spot on campus, sited to become a central part of the campus experience. Preliminary plans for the Veterans Plaza feature a circular walkway and curved wall made of precast concrete, centered around an artistic representation of a warrior’s shield, symbolizing honor and sacrifice. The plaza’s curved wall will be named to honor Lt. Michael P. Murphy, a 1998 liberal arts graduate and the only Penn State alumnus to earn the Medal of Honor. Lt. Murphy, a Navy Seal, posthumously received the U.S. military’s highest decoration for his actions in 2005 during the war in Afghanistan. The proposed shield form is a ten-foot-diameter disc carved in polished black “jet-mist” granite set to float above the grass, its surface carved to simulate “rippling water” and thus to evoke a feeling of contemplation. With this project, Ennead will now have designed three projects for Penn State, including the Dickinson School of Law’s Lewis Katz Building on the University Park campus and the Lewis Katz Hall on the Carlisle campus. 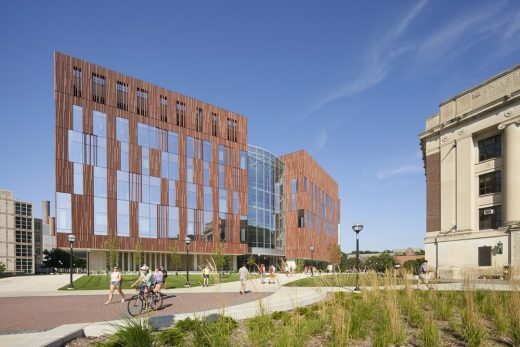 Richard Olcott and Timothy Hartung, along with partner Kevin McClurkan, led the Ennead design team for these previous projects. FDNY Rescue Company 3, SARA Award of Excellence; design team led by Todd Schliemann, Timothy Hartung, V. Guy Maxwell, and Wm. Jack Phillips. The Schermerhorn, SARA Award of Excellence; design team led by Susan Rodriguez and Timothy Hartung. The Gateway Center, Westchester Community College, SARA Award of Merit; design team led by Susan Rodriguez and Timothy Hartung. National Museum of American Jewish History, SARA Award of Merit; design team led by James Polshek and Joseph Fleischer. 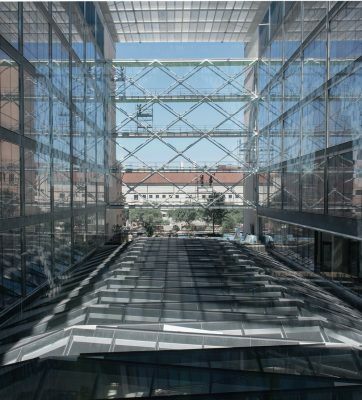 June 22, 2011, New York, NY – Ennead Architects is a finalist for the ACE Award. Sponsored by the ACE Mentor Program of Greater New York, this award honors a NYC-based architectural firm that has shown excellence in the design and construction of buildings for K-12 and higher education in the greater New York area. The jury premiated Ennead after considering its Gateway Center at Westchester Community College and Academic Building 1 at Medgar Evers College. Susan Rodriguez (design partner) and Timothy Hartung (management partner) led the design team for the Gateway Center, a building that symbolizes the College’s vision and commitment to a more accessible education for residents of Westchester County and to an American college experience for the many recent immigrants seeking to improve the quality of their lives. According to Rodriguez, “We sought to create a building that strengthens the meaning of the word Gateway for those who might already know its definition and forever define it for those who are learning it for the first time in English…as a physical embodiment of ‘something that serves as an entrance or a means of access’.” Located at the east entrance of the College’s Valhalla campus, the Gateway Center serves as both an initial expression of campus identity and a threshold to the College. Academic Building 1 at Medgar Evers College of the City University of New York houses the School of Science, Health and Technology and was recently awarded a SCUP Award for excellence in architecture. Todd Schliemann (design partner) and Joseph Fleischer (management partner) led the design team. 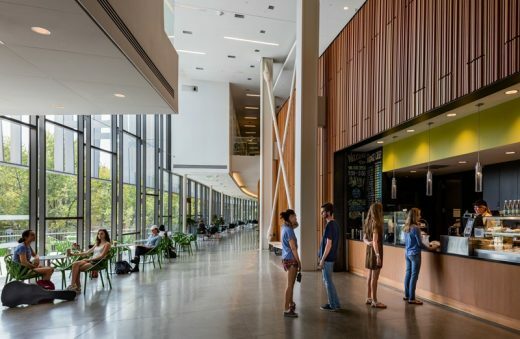 The light-filled corridors, lobby and stairs adjacent to the glass curtain wall provide views out to the community and allow the community to witness the activity within, while facilitating student and faculty interaction and the interdisciplinary mingling that enriches the educational experience. “Architecture is a living testament to the communal effort. My hope is that the students, faculty, administrators, and visitors who walk through the doors of the new Science, Health and Technology Building will find others of like mind. This architecture was designed to bring everyone together,” says Schliemann. The winner will be announced at the ACE Ball, which will be held tomorrow evening, Thursday, June 23, 2011 at 6:30 PM – 9:00 PM at the Center for Architecture. Greensburg, PA, June 21, 2011 – The Westmoreland Museum of American Art has selected Ennead Architects to design its expansion and renovation project, initiated in 2009 in response to the continued growth of the Museum’s collections, educational programming, and critically acclaimed exhibitions program. Susan Rodriguez, design partner, and Timothy Hartung, management partner, will lead the Ennead design team. “Creating this expansion is an intriguing, yet complex design opportunity: we believe that the artful and responsible transformation of the building and site will support the Museum’s vision for the future and strengthen its position as a leading arts institution,” says Ms. Rodriguez. Sixty-three firms from across the country submitted proposals to an RFQ issued by the Museum in early December 2010. WMAA is located in Greensburg, Pennsylvania, USA. 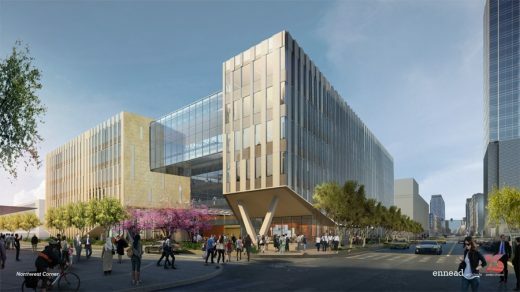 May 20th marked the dedication of the William H. Neukom Building at Stanford University, with hundreds gathered on the Law School campus for an inaugural address by U.S. Attorney General Eric H. Holder, Jr. Designed by Richard Olcott of Ennead Architects, the building fulfills the space needs of a growing faculty, fosters the collaboration essential to a rich educational experience and strengthens the Law School’s visual identity. Partners Olcott and Don Weinreich led the design team.